The Polka Theatre in the London Borough of Merton has revealed details of new shows, events and workshops for its 2018 spring/summer season. The season will involve productions of popular children's novels such as Double Act by Jacqueline Wilson and the poem Chocolate Cake by Michael Rosen. The Polka Theatre opened in 1979 and said to be one of the only theatres in the UK dedicated solely to children's theatre. Suitable for Key Stage 1 to 2 will be the production of Grandad's Island, written by Benji Davies, running between 22nd February and 4th March. The Boy Who Climbed Into the Moon, by David Almond, will also be suitable for Key Stage 1 to 2, running from 8th to 11th March. For Key Stage 1, Chocolate Cake will be staged from 23rd March until 13th May and will address learning points for PSHE, encouraging children to develop skills, and make their own choice about food, as well as listen to others and expand their knowledge of poetry and fiction. 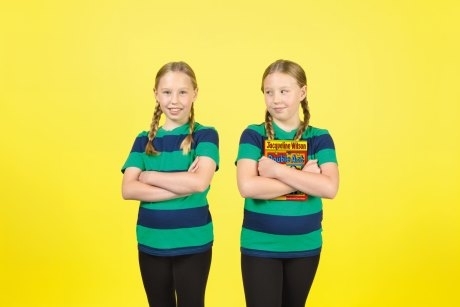 Jacqueline Wilson's Double Act will be staged between 15th June and 5th August and will be suitable for Key Stage 2 pupils. The performance will allow pupils and teachers to explore various themes for Key Stage 2 PSHE including learning about change and loss, communicating feelings, and confidence. Other shows that will be staged include The Steadfast Tin Soldier, The Little Mochi Man, Sourpuss, Three Billy Goats Gruff, Jack and The Beanstalk Cafe, and Whatever the Weather. A selection of workshops will be available alongside performances, including tailor-made sessions, show-linked workshops, 'Page to Stage' lessons, puppetry classes, and multi-sensory workshops. For every ten pupils, one teacher or accompanying adult goes free. If you’re interested in getting your class even more involved, there is the opportunity for your class to perform at the Polka Theatre. To discuss taking your class to the Polka Theatre you can contact Michelle, the school relationship officer, by email at michelle@polkatheatre.com or phone 020-8545 8329. For more information, visit polkatheatre.com.